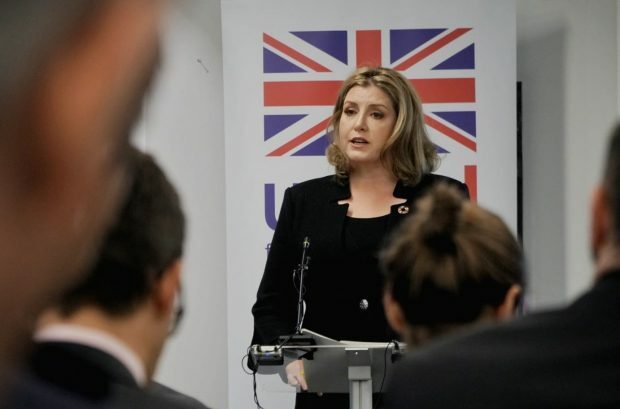 International Development Secretary Penny Mordaunt spoke today at the Department for International Development’s Investment Arm, CDC, about how the private sector can support international development globally. In a speech which set out the good that aid does the Secretary of State talked about the importance of the private sector in helping deliver the UN’s Sustainable Development Goals which include the eradication of poverty. “…to mobilise private investment to support development. This results in driving innovation, increased competition and sustainable growth, while meeting high social and environmental standards. “And we are developing a new partnership, with the City of London Corporation in designing new financing mechanisms that will help mobilise more investment for poorer countries and support the creation of the 18 million new jobs a year which Africa needs. She highlighted the current funding gap, which needs to be filled, if we are to deliver the Global Development Goals by 2030. The speech highlighted how we are off track by $2.5 trillion per year, and this is why private sector finance could make such a difference to delivering investment in the coming years. The Secretary of State also called for a national conversation to establish how the British public could in future chose to invest in supporting sustainable development. “We want to give British savers a chance to make a financial return in exchange for their goodwill to change the world for the better. “I want people to have more information about how their savings are used and the opportunities available to them to invest in things that they care about. The Secretary of State also set out her commitment to consider how the aid budget is spent as we leave the EU, as “in time we will have more flexibility to consider how we use our aid budget and the £1.5 billion we currently channel through the EU on an annual basis,” she said. Looking to the future the Secretary of State also committed to continue to discuss how Overseas Development Assistance (ODA) is calculated. Articles today (Tuesday 9 Oct) in The Sun and Express suggest that “billions of pounds of taxpayers’ cash to be slashed” from the aid budget. This is not what the Secretary of State set out in her speech. She called instead on the private sector to boost investment in emerging markets to help delivery the Global Goals. “Investing in developing countries in Africa and Asia helps to build the markets of the future and for UK businesses as we look to forge new trading partnerships. This is sustainable development. Another minister who has not got a clue. We should NOT be sending money to country's without a UK representative being present. That way he or she can make a decision where this money is going to be spent.